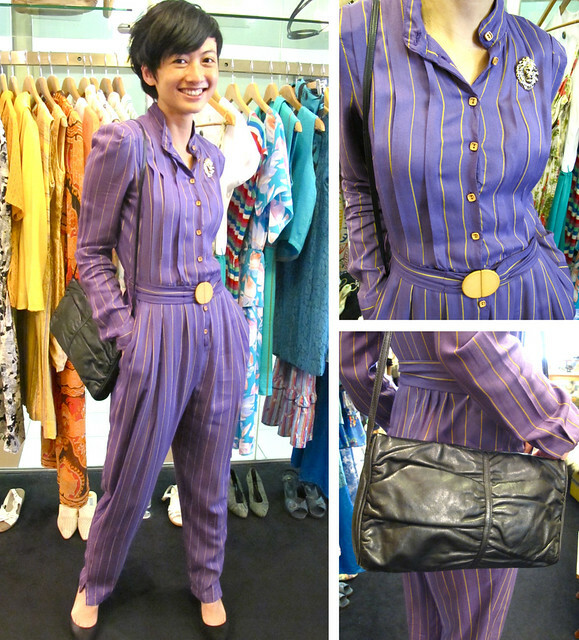 SUPER FUNKY 1970S Striped Jumpsuit – Perfect for work and parties, this striking jumpsuit hails from the UK, and comes with a matching belt! Paired here with a 1980s lion-head brooch, and a black leather sling bag by Anne Klein for Calderon. 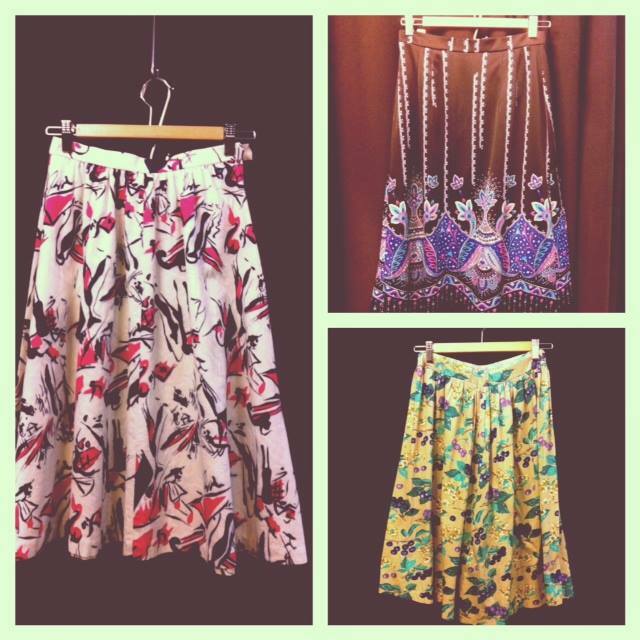 These cute printed skirts are a great perk-me-up for your everyday wear! June, a regular customer of Granny’s day Out, poses for us in a beautiful 1970’s blue and white floral maxi dress that she just bought from us! June looks great in this maxi dress! 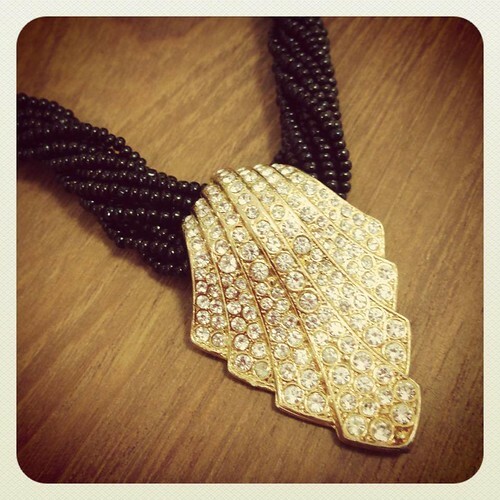 Check Out These Fab Vintage Jewellery At Our Taka Counter Now! 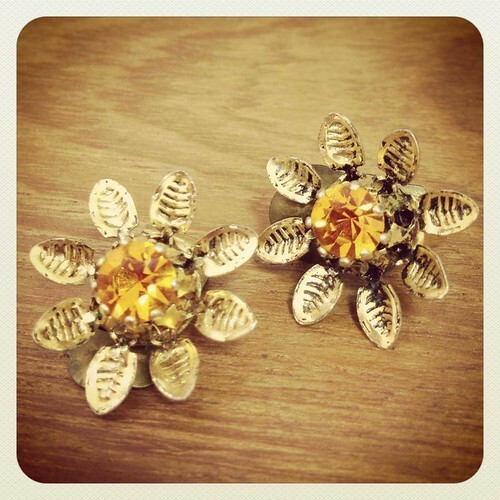 A dainty pair of earrings from the 1940s with an Austrian crystal in the center. 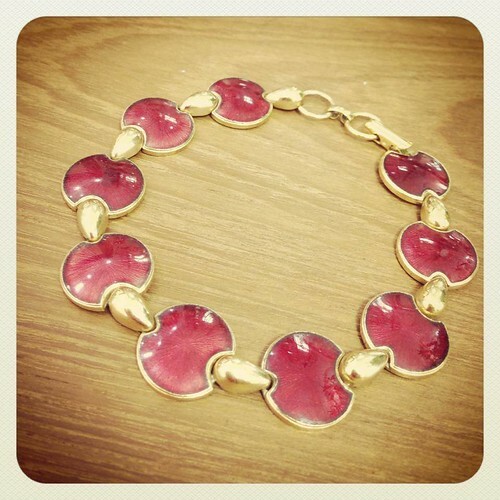 Adorn your wrist with these adorable 1960s bracelets with a beaded centre! This stunning 1980s multi-strand beaded choker necklace with a gold-tone rhinestone studded centre piece can be worn with both casual and formal outfits. 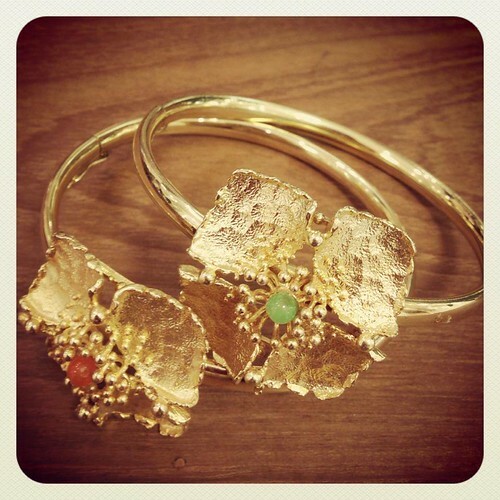 Add a touch of elegance to your outfit with this versatile bracelet! 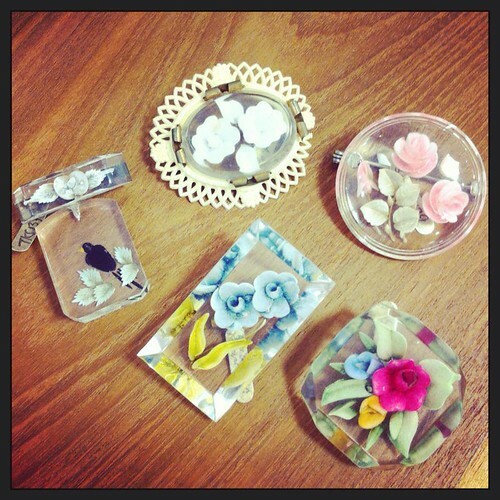 We have a delightful range of collectible reverse-carved lucite brooches from the 1940s-1950s! They’re pretty, adorable, and timeless! 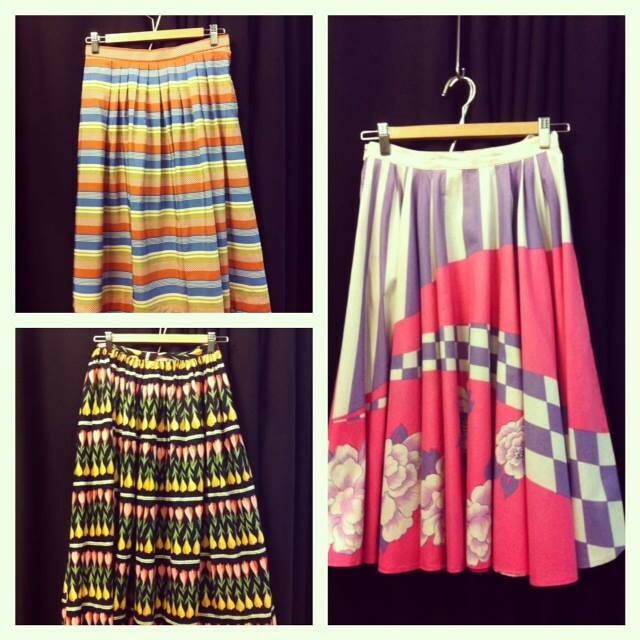 Come try them on! 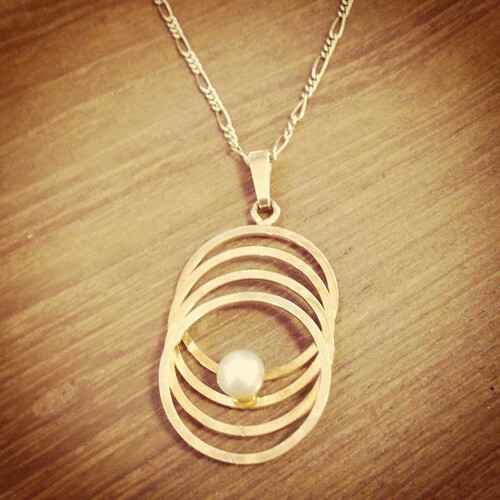 The girl with a pearl pendant: This pearl pendant is cute and wearable, with a different twist. 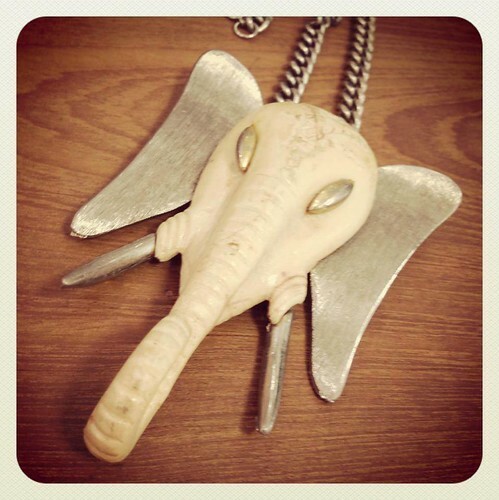 Make a statement with this huge dynamic elephant pendant!! Designed by Luca Razza, this resin elephant hails from the 1970s and is a collectors’ item. Charming! 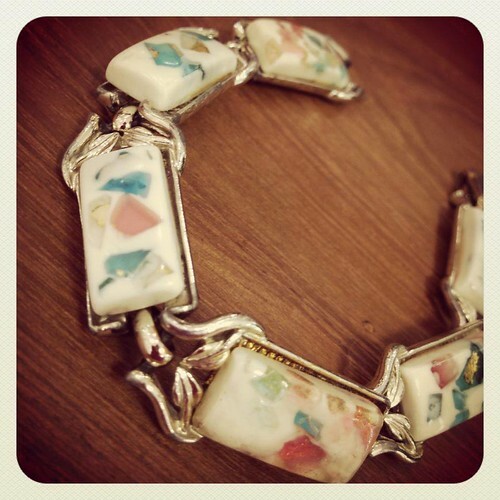 1950s bracelet with embedded iridescent glitter, also called ‘confetti’ by collectors. Signed ‘Coro’. 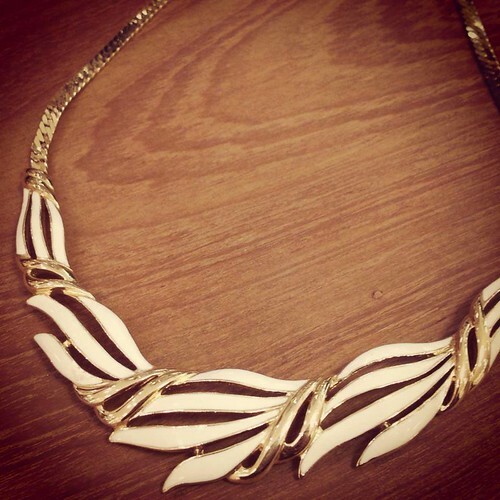 Lovely Trifari enamel necklace in a beautiful cream colour! 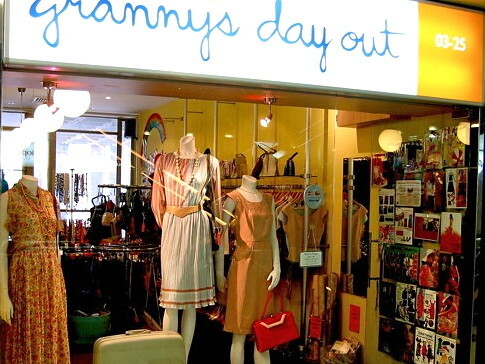 Show up at the office in this cute but smart looking dress. 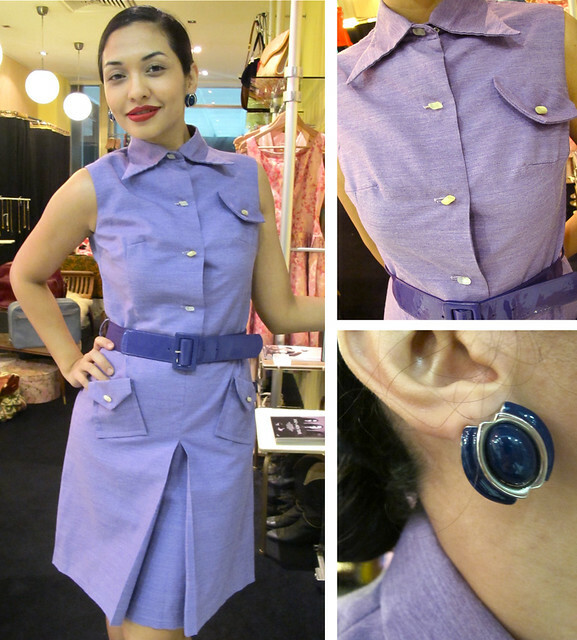 In a lovely lavender colour, this dress features a pointy collar, a faux chest pocket, two cute slanted skirt pockets, an inverted pleat down the centre of the skirt, and cylindrical shape buttons. 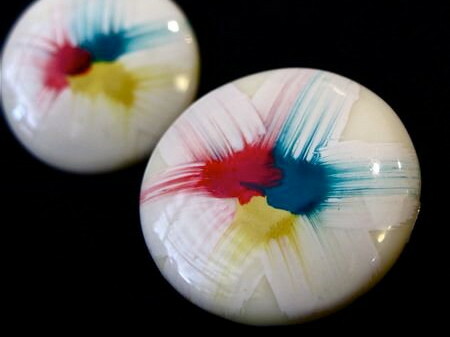 Paired here with a purple cinch belt and a pair of 1980s navy blue enamel earrings.